Not much to report for yesterdays progress. 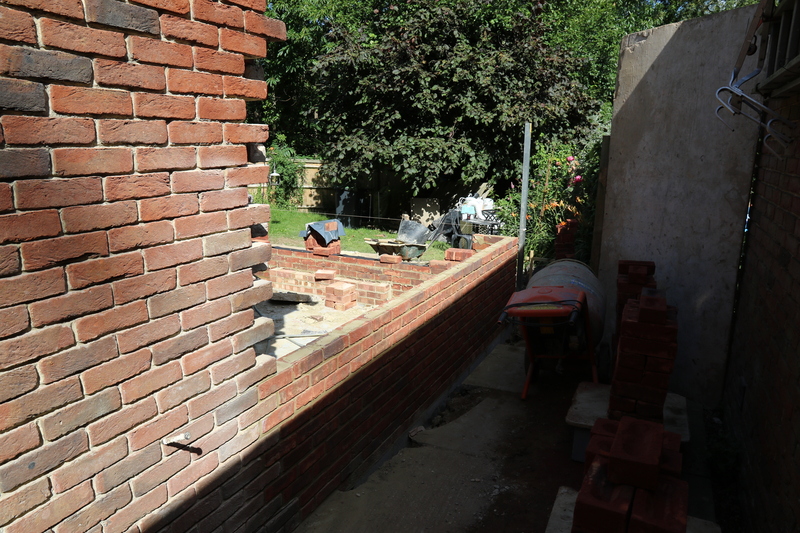 The brickwork at the utility room end is up to the level where the new back door will be fitted. Conservatory – End wall viewed from the side passage. Conservatory – End wall viewed from the kitchen door, looking out. 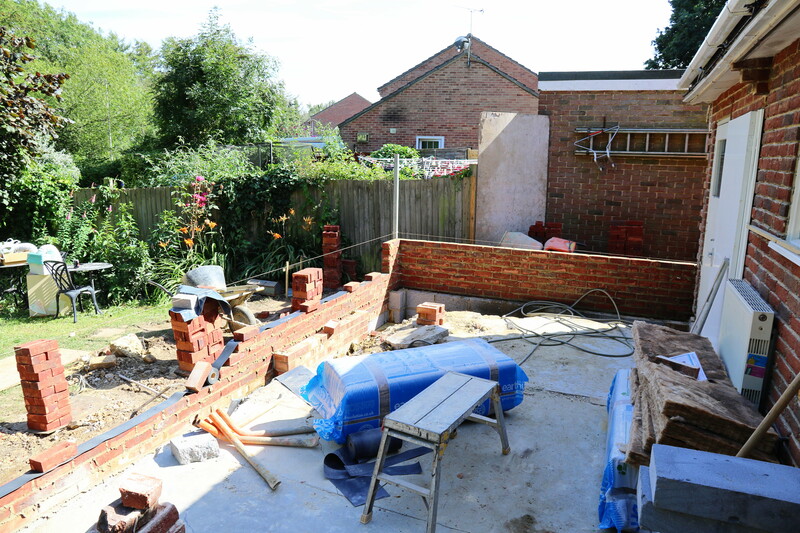 At the opposite end, adjacent to the back door where the old conservatory had pulled the bungalow brickwork out of the vertical, repair work is almost complete. 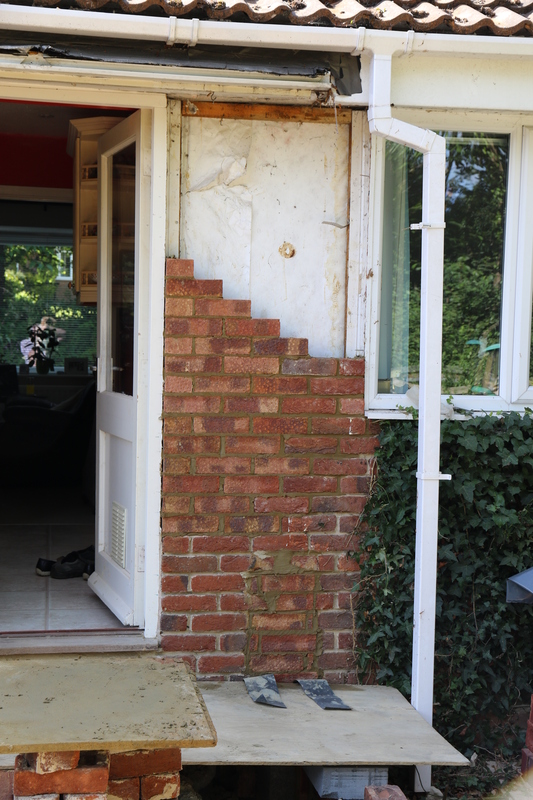 Conservatory – Bungalow wall repair. 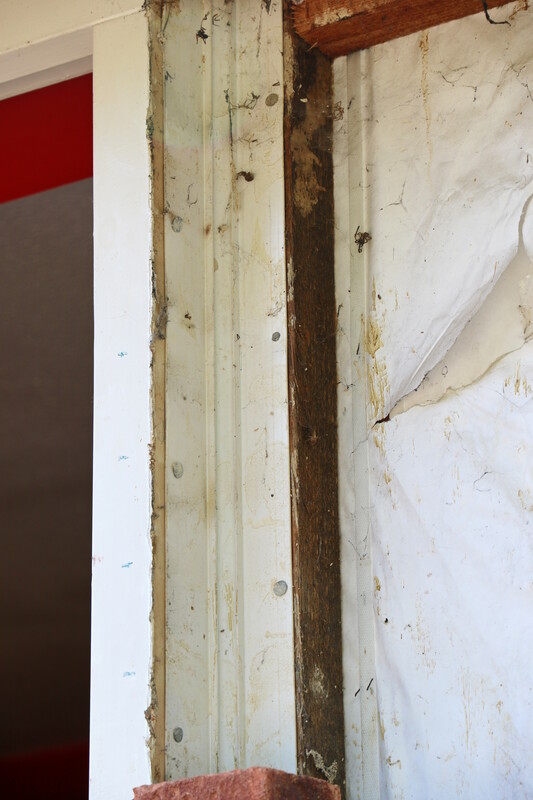 The repairs would have been completed, were it not for the super hard screws used to secure the bedroom window. There were two and they seemed impervious to both of my hack saws, even with new blades fitted. Craig arrived early this morning and made short work of the screws using a mini disc cutter. In the picture you can see that two different types of bricks are being used. Those nearest the door will not be seen when work is finished as the interior walls are being plastered. For those nearest the window frame and down they are reusing the original bricks as they are exterior to the conservatory and will be visible. Conservatory – Kitchen Door Fixing. This explains why the door stayed vertical while the wall was pulled out when the old conservatory shifted. This picture shows how Barratt Homes fit doors in timber frame houses. Obviously it is robust enough but to my untrained eye it seems a little flimsy. After all it is plastic, not metal. Bob and Anton are back this morning and are now, much to everyone’s surprise, to be assisted by Simon, another bricky. So the brickwork should progress quite nicely. This entry was posted in Local (To Me !!!) and tagged Barratt Homes, brick work, conservatory, disc cutter, Executive, Windows. Bookmark the permalink.